Jimmy Butler has his wish: He's out of Minnesota. And just like that, Philadelphia has a new Big Three - one that could make serious noise in the Eastern Conference. 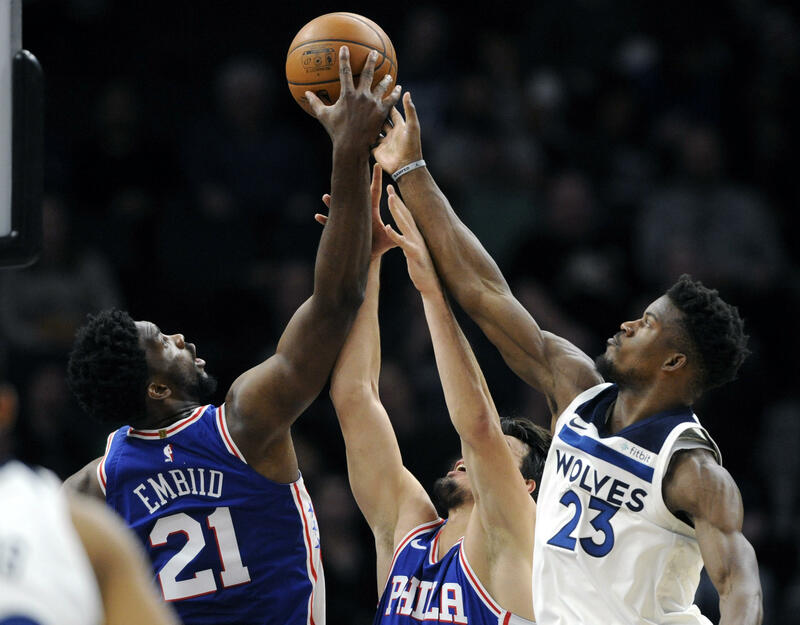 Butler continued to be miserable in Minnesota, and the Timberwolves have gotten off to a lousy start waiting for this inevitable move. Minnesota finished a 0-5 road trip with a loss in Sacramento on Friday night and is 4-9 overall - winless in eight games on the road. Butler played in 10 of those games, averaging 21.3 points. It was a peculiar arrangement; the Timberwolves were still running things through him often, even while the worst-kept secret in the NBA was that he wanted a change of address. Plenty of teams were mentioned along the way - Houston, the Los Angeles Clippers, Miami among them - as top candidates.